Vijay's Mersal has walked away with major honours at 11th Edison Awards 2017. The 11th edition of Thomas Edison Advertisement Awards, which is popularly known as Edison Awards, was held in Chennai on Sunday, February 26. Ilayathalapathy Vijay's blockbuster Mersal has walked away with major honours. Mersal bagged Best Director (Atlee), Best Villain (SJ Suryah for Mersal and Spyder), Best Cinematographer (GK Vishnu) and many more. It may be recalled that the movie had walked away with top honours at Ananda Vikatan Awards recently. 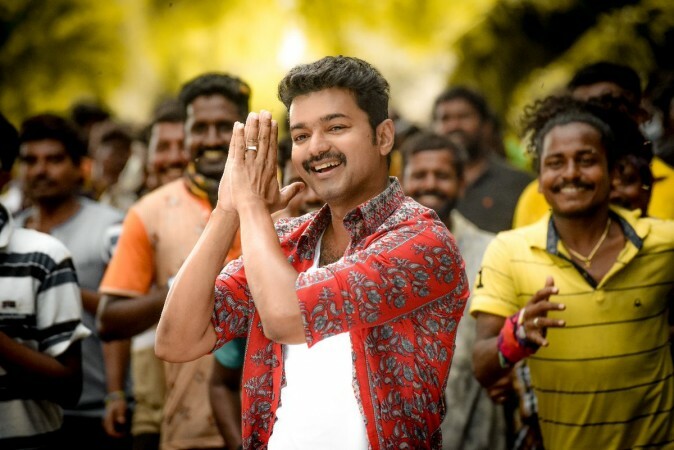 Mersal is in the fifth place in the all-time highest grossing movies of South India. The list is dominated by multilingual films with two-part Baahubali series in the first two positions by minting Rs 1,700+ crore and Rs 600+ crore at the global box office. Rajinikanth's Enthiran and Kabali are in the third and fourth positions by earning Rs 290+ crore and Rs 286 crore, respectively.